The most common initial task that I get asked for help on is connecting a newly deployed virtual machine in vCloud Air from the catalog to the internet so you can install other packages or update the operating system. This post is probably long overdue considering the number of times I have explained the fairly simple process to people so finally I have taken a moment to explain it here. This process will apply to both subscription and OnDemand provided in OnDemand you have purchased a public IP, where subscription accounts include them already. There is a few basic assumptions here. First is that you have access to a subscription to vCloud Air, and that you know how to configure basic NAT and Firewall rules. By design vCloud Air comes with a default routed network for every new customer and we will assume that is the one you are using for your connectivity. This is easy because all default routed networks are deployed for s new customer with the same NAT P address range so it works for screen shots well. Also by design there is NO firewall or NAT rules in the Edge Gateway and everything is allowed as you determine. This is also a good thing, since there is no assumptions on what you as a consumer want to do. We will also assume you have deployed your virtual machine and it’s been assigned an IP address it simply cannot get out to the internet yet. The difference is simple really. 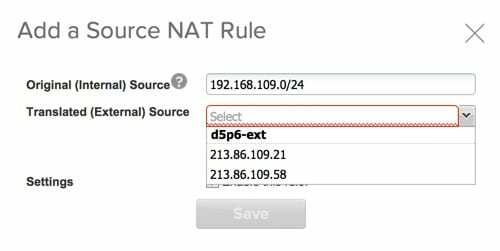 The Source NAT rule just applies the outgoing NAT information to the packets exiting the firewall. 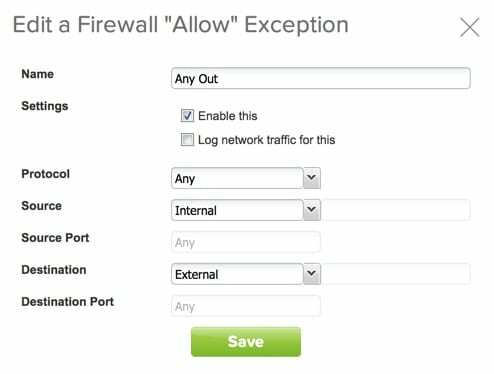 However, having the SNAT rule does not allow the traffic to be allowed out of the network, that’s the firewall rule. So in effect if you do one and not the other, you still will not have internet access from your machine. You have two ways to create these rules either in the vCloud Air interface or the vCloud Director Interface. Here you can either check the option to use the gateway DNS, or better yet assign your own DNS servers. Bear in mind if you have already deployed an AD server on the same network, you can use that here as well. Another note is if machines are already deployed they will need to be shutdown and restarted to pick up this change since the setting is not DHCP it is part of the static IP setting. 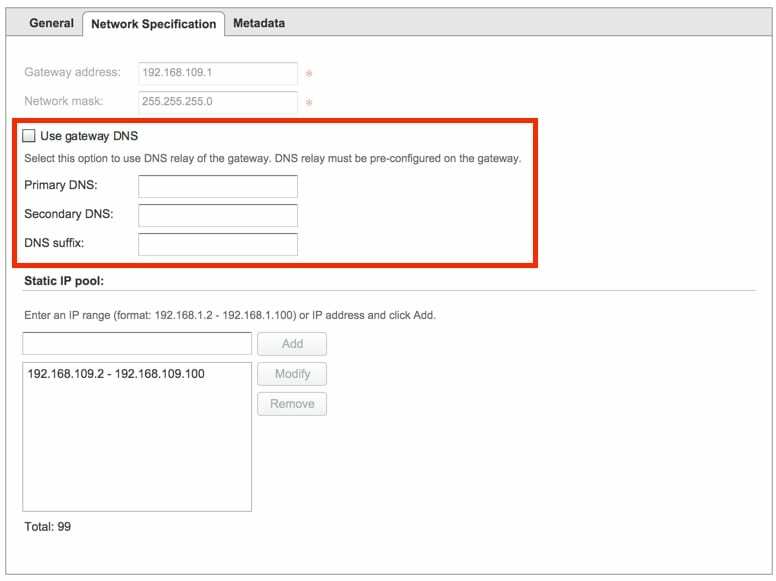 This option is also used for DHCP on this network if you configure that in the Edge Gateway. Once updated you can see here the Source Nat rule is in place. It is okay that it is an ANY:ANY rule because you are still going to control any access into or out of the environment from the firewall rules. If you did have more public IP addresses, you could do specific SNAT and DNAT rules to support 1:1 mappings but for this purpose I want to focus on just getting your new virtual machine on the internet. This is actually quite simple. Assuming you just want to allow ANY traffic from the INTERNAL side of the Edge Gateway to the EXTERNAL side you can do this in one rule. Again you can get more finite and complex as you wish but since we are looking in this case to allow all machines on the subnet to access internet outbound we can use a single rule. Again click “Add One” and below you will see the configuration. Once you save this you will be allowing any protocol from all INTERNAL sources to all EXTERNAL sources. At this point you should be able to get to the internet. To review there is 3 basic things you need to make sure a virtual machine you deploy in a brand new vCloud Air environment can reach the internet. I hope this helps people as they are experimenting with vCloud Air. I know this one question has come up a lot, so maybe this will prevent people from struggling with it. Is it possible to leverage the “use Gateway DNS” setting? There appears to be no way to configure the relay on the Edge Gateway. Yes if you use that you will only get “Internet” DNS resolution. I am not sure where they ultimately point upstream, but checking the box should also work. I think most people prefer to use Google DNS or OpenDNS or other assigned internet DNS they are comfortable with, that’s all but should work either way. Well, the settings are working and I have the internet access using vCloud Air Virtual Machine.